The Travelite Chair in a Bag is a lightweight yet sturdy aluminum transport chair that easily folds to a compact size and comes with a carry bag making it ideal for traveling. 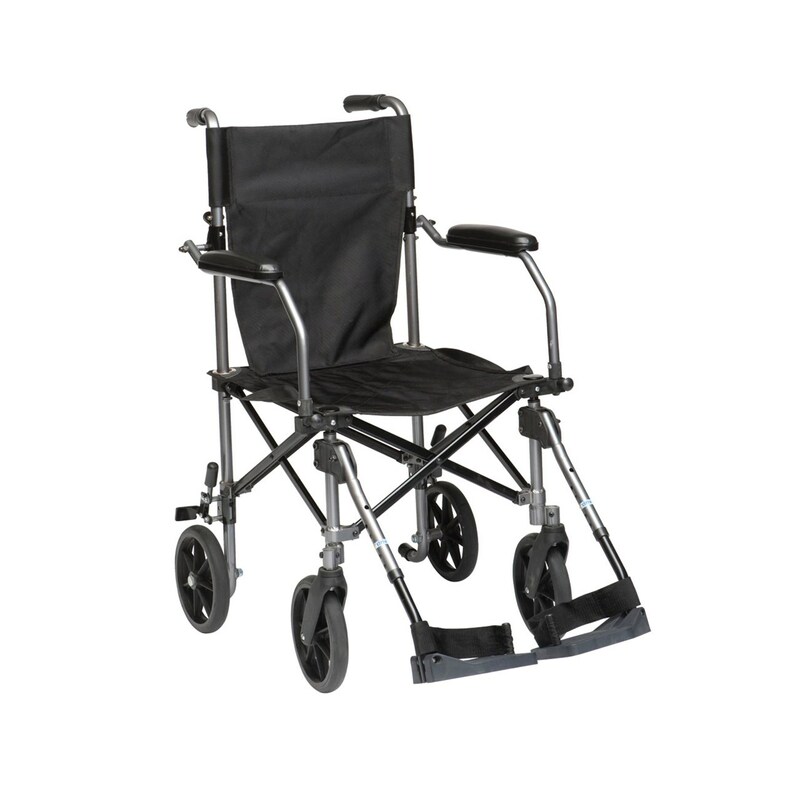 Great for use both indoors and outdoors, it features 8" solid tires with parking brakes, a folding backrest and 18" square nylon seat canvas with lift up straps. Comes with padded, flip up desk arms and height adjustable footrests. Color: Gunmetal Grey. Manufacturer's Limited Lifetime Warranty. - Weight Limit: 250 lbs. - Overall Width (Open): 22.5"
- Overall Width (Closed): 11.5"
- Overall Length (with Riggings): 33"
- Product Weight: 20.5 lbs. - Carton Shipping Weight: 23.2 lbs.